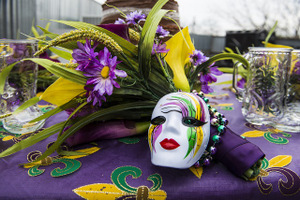 Mardi Gras is an annual celebration of extravagance and (over)indulgence before Lent. The official slogan is "Let the good times roll," which is translated literally into French as Laissez les bons temps rouler (and is used only in Louisiana). 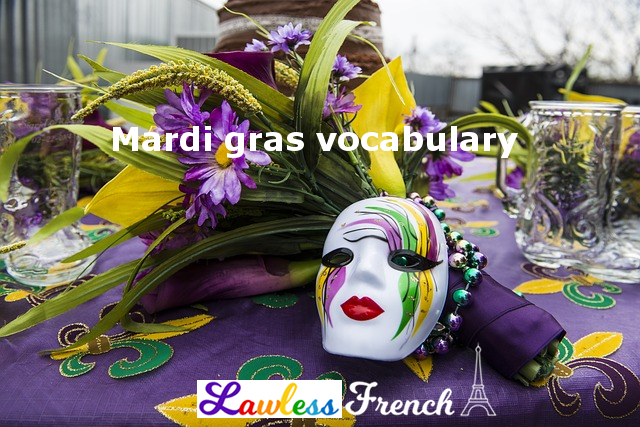 The period leading up to Mardi Gras is called Carnaval, and the several-week festival is celebrated in New Orleans, Nice, Guadeloupe, and many other francophone (and non-francophone) cities, regions, and countries. In Commonwealth countries, this same day is known as Shrove Tuesday or Pancake Day.